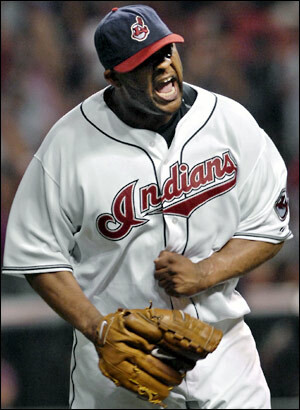 CC Sabathia had a lot on his shoulders when he was drafted in the first round by the Cleveland Indians in 1998. The Tribe had been looking for an ace to go along with their vaunted 1990’s offense, and signing free agents just wasn’t working. While Sabathia, a high school phenom, didn’t join the Indians in 1998, the big lefty was certainly fast-tracked to the majors. 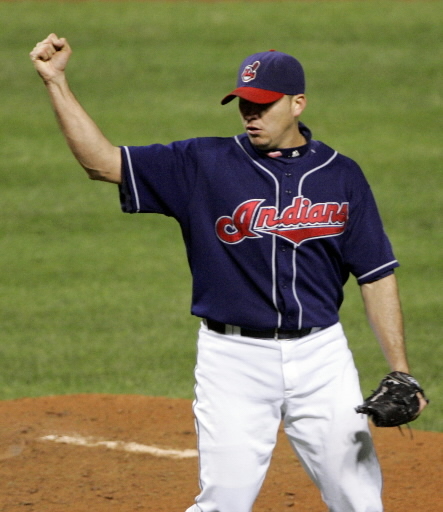 By 2001, he was a full-time starter with the Indians, and by 2007, he was the Cy Young award winner they had envisioned when they drafted him. No, Sabathia wasn’t the answer to the great Indians run in the 90′s and early 2000′s, but he certainly was everything the Indians thought he would be, and more. The All-Aught Indians Ace is CC Sabathia. Categories: All-Aught Indians, Cleveland Indians, Indians News | Tags: Bartolo Colon, CC Sabathia, Chuck Finley, Chuck Nagy | Permalink. The top two starters for this All-Aught Indians team has been a given ever since the 2007 and 2008 A.L. Cy Young awards were given to CC Sabathia and Cliff Lee respectively. Anybody who gives thought to putting a Westbrook or a Colon in these two slots, think again. While Westbrook had three consistent seasons as an Indians workhorse, he was never able to show the brilliance that Sabathia showed year-after-year, and that Lee showcased during his brilliant 2008 season. Bartolo Colon may have been as talented as the lefty duo, but his time during this decade was all to brief. Now I could take the controversial approach and give the #2 slot to Sabathia, but it would simply be a lie to get attention. While Lee undoubtedly had one of the best seasons as a pitcher in 2008, his career over the past seven seasons has been some kind of rollercoaster ride since the Indians acquired him in the Bartolo Colon deal in 2002. While Lee won 14, 18 and 14 games in his first three full seasons with the Tribe, he would find himself in the minors after struggling in 2007. While those numbers alone place him in the same category as Jake Westbrook, his sublime 2008 season would see him dominate the A.L. from day one. 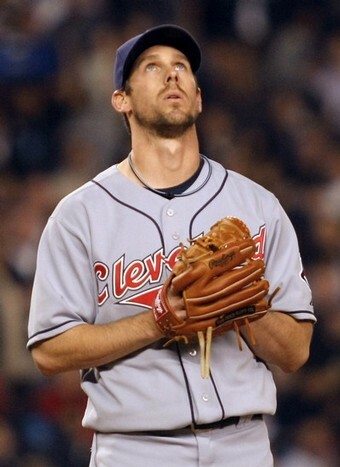 The All-Aught Indians #2 starter is left-hander Cliff Lee. Categories: All-Aught Indians, Cleveland Indians | Tags: Aaron Laffey, CC Sabathia, Cliff Lee, Jake Westbrook, Jeremy Sowers | Permalink. Bartolo Colon was a free agent signing by the Indians, and came up as one of their top pitching prospects, but was overshadowed in those early years by another bright young gunner, Jaret Wright. Wright seemed to be the future ace of the staff in 2007, going 8-3, and starting game seven of the World Series in 2007. Colon made his debut that same year, going 4-7, with an ERA near 6.00. Wright stuck around with the club through the 2002 season, struggling with injuries and mechanics problems. 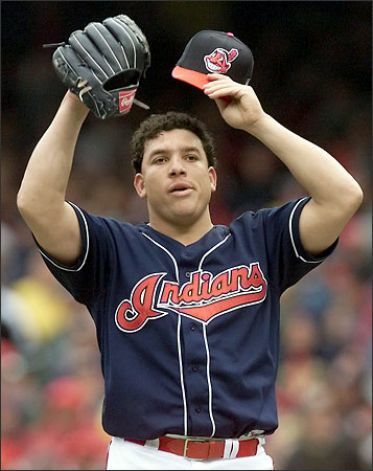 Colon also “lasted” until the 2002 season with the Tribe, but became the ace of the staff, as well as one of the best pitchers in baseball. Categories: All-Aught Indians, Cleveland Indians | Tags: Bartolo Colon, Jaret Wright | Permalink. 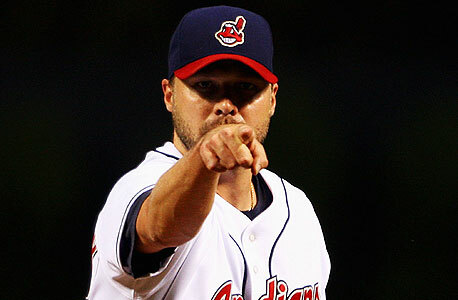 Jake Westbrook came to the Indians as the main piece from the New York Yankees when the Indians dealt David Justice to the Evil Empire in June of 2001. Westbrook had been a number one pick by the Colorado Rockies in 1996. He was dealt to the Montreal Expos a year later in a deal for Mike Lansing, then traded to the Yankees two years after that for Hideki Irabu. While Westbrook may have lost a bit of the shiny goodness that comes with being the #1 pick, he ended up being the glue of the Indians’ rotation for the better part of the decade. The All-Aught Indians #4 starter is Jake Westbrook. Categories: All-Aught Indians, Cleveland Indians | Tags: Jake Westbrook | Permalink. Note: This was written before it was found out that Carmona wasn’t, well, Carmona…so I left it as it. We all know that he’s now Roberto Hernandez, or was Roberto Hernandez and is again? The battle for the #5 starter on the Indians team of the decade came down to two players. The first player had one exquisite season that was so good, many felt he would be one of the best pitchers in baseball for years to come. The other pitcher never had a season with an E.R.A. below 4.53, but was as consistent as you could be as a bottom-end starter. The first pitcher, Fausto Carmona, was brilliant in 2007, then dropped off the map as a starter in 2008 and 2009. The second pitcher, Paul Byrd, was never lights out, but always managed to win double figures, and keep the teams he pitched for into games. Unfortunately for Byrd, many of his wins were less about his pitching, and more about his offense and defense. At the end of the day, Fausto Carmona’s brilliance and near Cy Young 2007 season carry him in this battle. 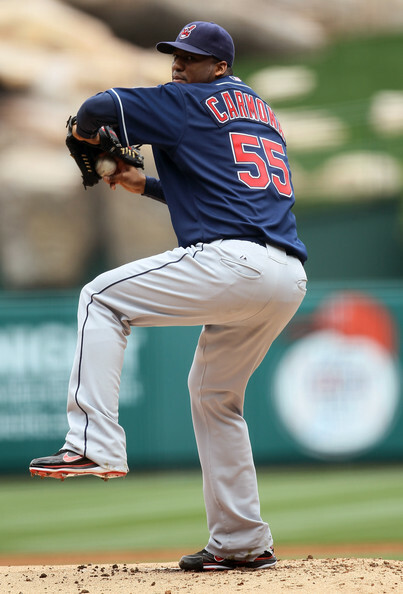 The All-Aught Indians #5 starter is Fausto Carmona. Categories: All-Aught Indians, Cleveland Indians | Tags: CC Sabathia, Cy Young, Fausto Carmona, Joba Chamberlain, Johan Santana, Paul Byrd, Torii Hunter | Permalink. 1. He severed his index finger down to his first knuckle when he was two in a farming accident. 2. He has the most saves in Cleveland Indians history. 3. I had to purchase a defibrillator to help jump start my heart after nearly every one of his outings. During the best of days, Bob Wickman stabilized the Tribe bullpen, providing the Indians with a surefire, ninth-inning save. During the worst of days, Wickman was an injury-prone emergency room filler, living on the edge during every appearance. Through it all, Bob Wickman was the only closer that provided longevity and consistency throughout his run during the first decade. 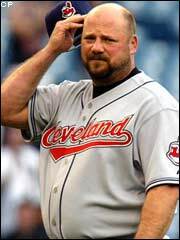 The All-Aught Indians closer, since we have to have one, is the hefty righty, Bob Wickman. Categories: All-Aught Indians, Cleveland Indians | Tags: Bob Wickman, Jason Bere, John Rocker, John Wetteland, Richie Sexson, Steve Karsay, Steve Woodard, Tommy John | Permalink. 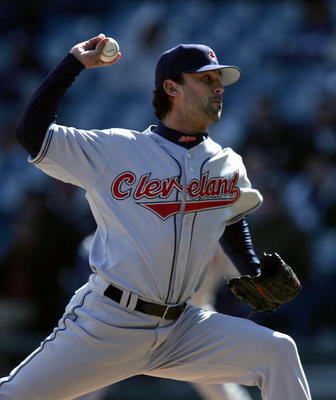 Rafael Betancourt was clearly the best Tribe reliever during the Aughts. Like many of the Tribe pitchers of the decade, Betancourt was a bit of a reclamation project. He had spent the previous six seasons all over the place learning how to pitch, and it all came together with the Indians. Betancourt threw a low-to-mid-90’s fastball, a curve and a changeup, and while none of his pitches were considered plus pitches, it was his location that made him special. The All-Aught Indians top relief pitcher is Rafael Betancourt. Categories: All-Aught Indians, Cleveland Indians | Tags: Omar Vizquel, Rafael Betancourt | Permalink. David Riske didn’t have the flair for the dramatic, and when you think of relievers, Riske’s name likely won’t jump out at you. Still, for most of his five-plus years with the big league Indians, he was one of the most consistent relievers in the pen. Riske’s primary role over the years was as the eighth inning, right-handed set-up man, but he showed up in the box score wherever the Tribe needed him. He even spent a small chunk of time as their primary closer, in what was perhaps his best year, in 2003. Riske gave the Indians obvious bang for their buck, but he also just happened to be their most consistent closer over a five-year stretch, including two near-dominant seasons. The All-Aught Indians relief pitcher #2 is David Riske. Categories: All-Aught Indians, Cleveland Indians | Tags: David Riske | Permalink. Paul Shuey was a flame-throwing, right-handed reliever, who never seemed to pitch as good as you thought he could. I suppose that wasn’t really the lead-in you would expect for the third player in the pen. This Lima, OH native had three plus pitches, starting with a blazing fastball with movement, a splitter, and a superb, late-breaking curveball. When the Indians drafted Shuey in 1992 out of the University of North Carolina, they believed they had their closer of the future. Unfortunately, a variety of injuries and a propensity to walk batters under pressure situations kept him from becoming that closer. It didn’t, however, keep Shuey from becoming a productive set-up man. The All-Aught Indians relief pitcher #3 is Paul Shuey. Categories: All-Aught Indians, Cleveland Indians | Tags: Paul Shuey | Permalink. 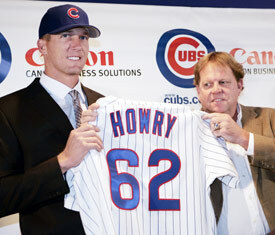 Bob Howry was a typical signing by the Cleveland Indians. 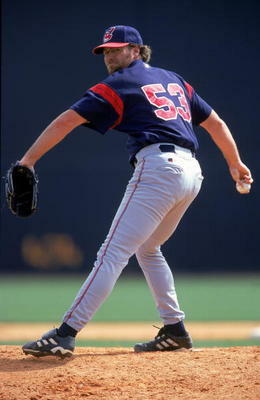 Howry pitched for the Red Sox in 2003 and struggled with right elbow problems. He ended up on the 60-day DL after undergoing season-ending surgery at the beginning of July to repair his flexor tendon. The Indians swooped in and signed the damaged righty to a minor league deal after the 2003 season hoping it would pay off. The All-Aught Indians relief pitcher #4 is Bob Howry. Categories: All-Aught Indians, Cleveland Indians | Tags: B.J. Ryan, Bob Howry, Bob Wickman, Tom Gordon | Permalink.